Its four unique guitar modes can turn your electric into a standard, jumbo, enhanced or piezo-equipped acoustic. Other features include top & body knobs fine tune the virtual body resistance, and an in-built reverb for added depth. 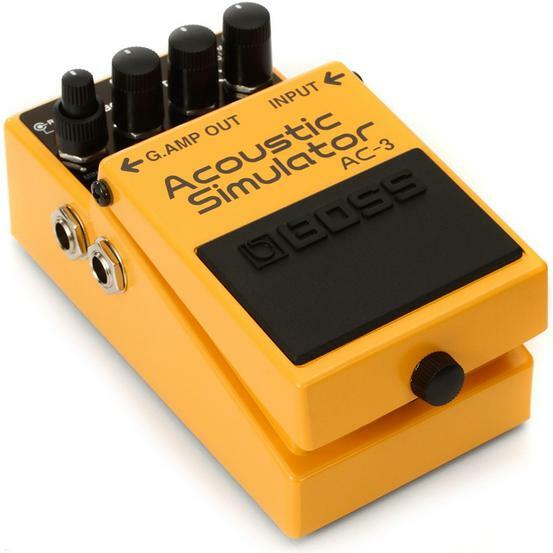 With the stomp of a foot pedal, the Boss AC-3 gives electric guitarists the freedom to instantly "go unplugged". Order it today from Kosmic online and get the power of an acoustic guitar in one convenient, easy-to-use stompbox.